Hi!!!! 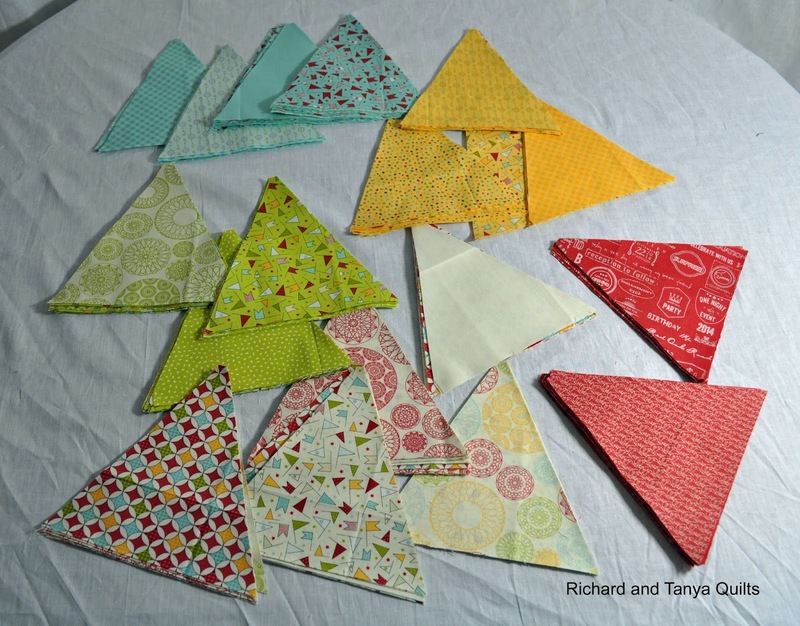 Love the fabric triangles!!!! Mine are not cut yet!!!! The cake is wonderful!!!! Very sweet!!!! 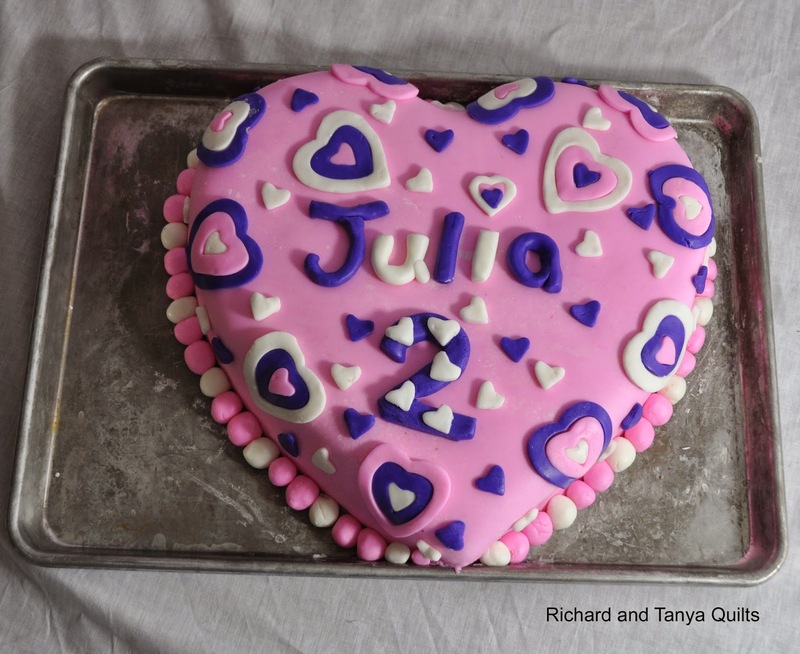 Sending Birthday wishes to Julia!!!! I'm not sure if I love those fun triangles or the sweet cake more. Both are great. Can't wait to watch this quilt progress. Your triangle fabrics and colors are very nice. 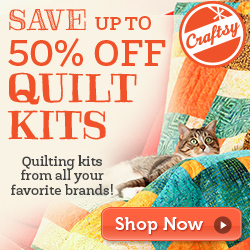 Looking forward to seeing your quilt. I love cake and that one looks like a Winner. Happy Happy Little Lady. 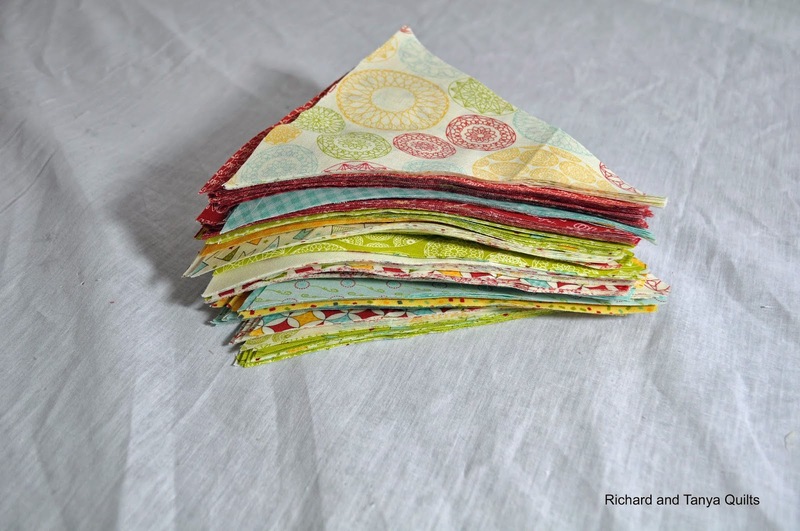 I'm so glad you began quilting and that I came upon your blog from somewhere. I love the way you all work, it's dynamic. Love your triangles, great colours. Your fabric choice looks very cheerful:_ Very pretty. Sweet looking cake! Those triangles look pretty good too. Looking good Richard....beautiful cake too!